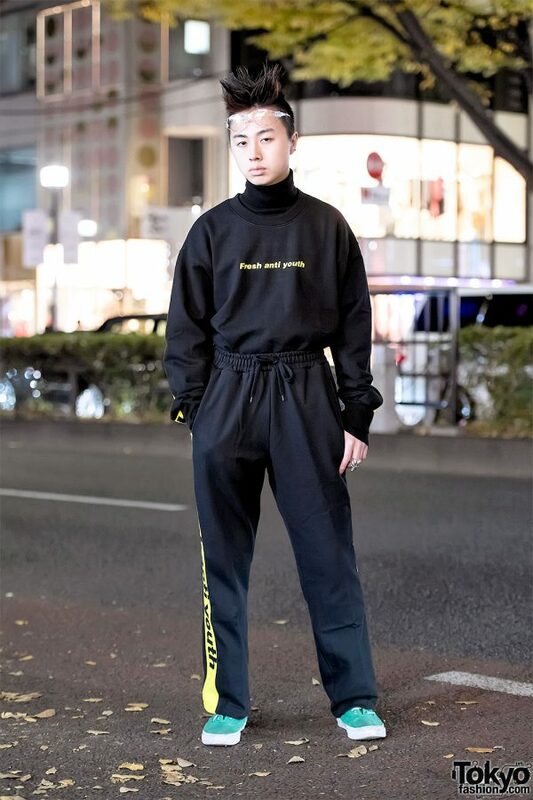 RAW – who we often see around the streets of Harajuku – is a student at the famous Japanese fashion school Bunka Fashion College. 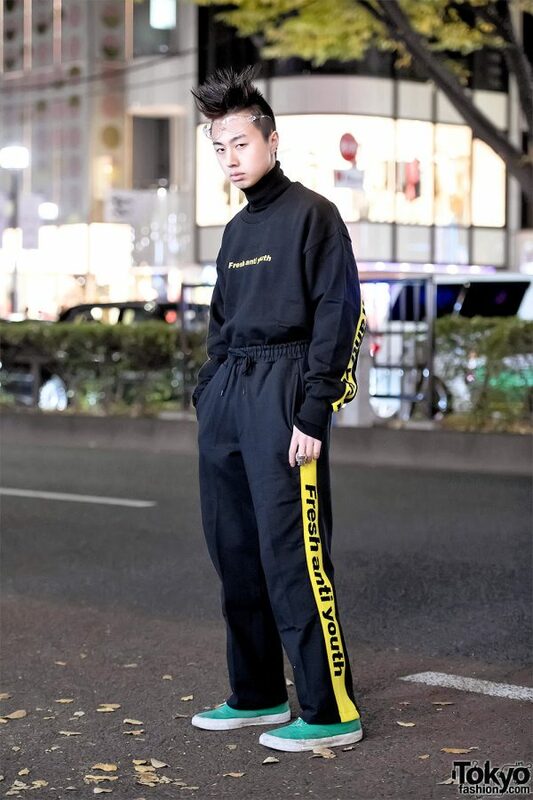 He is 19 years old. 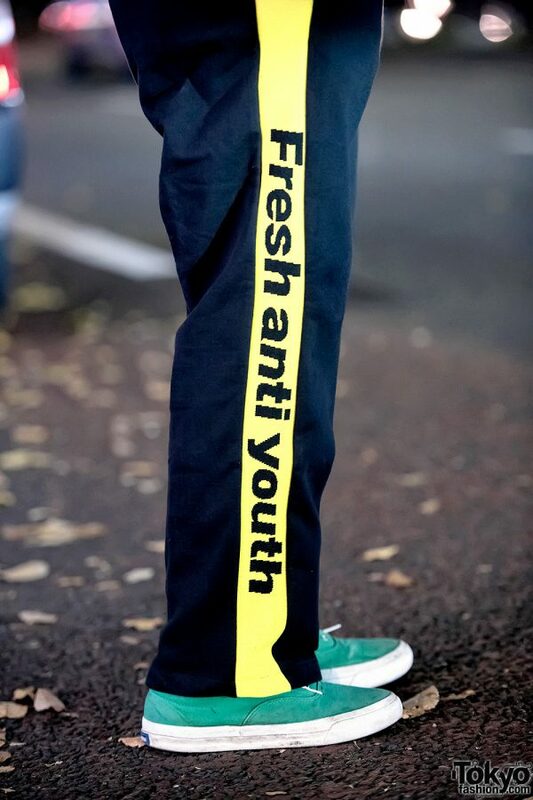 On this day, RAW was wearing a sweatshirt and pants by the streetwear brand Fresh Anti Youth with goggle style glasses, Tokyo Humanexperiments jewelry, and green sneakers. 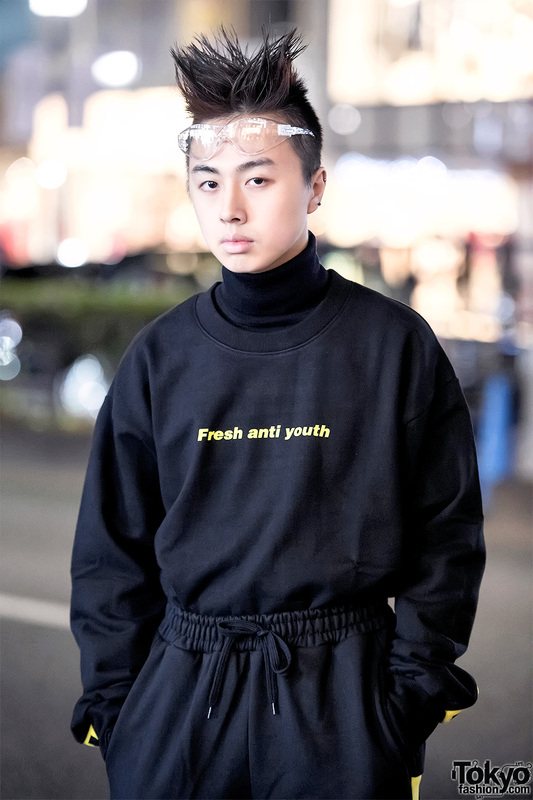 RAW’s favorite fashion brands/shops/designers include Acuod By Chanu and Dog Harajuku. He likes the music of Deformed Nippon. Follow him on Instagram or Twitter.